I don't have an article for you this month, but thankfully it's for all of the best reasons. 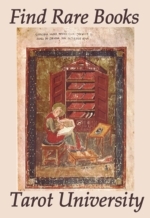 We are in the final pipeline now for sending our book The Tarot of the Holy Light; Foundations of the Continental Tarot Tradition, to the printer. These lips to God's ears, dear friends, Michael and I are getting ready to be delivered of our second child. When I was writing the text for The Underground Stream (http://www.amazon.com/The-Underground-Stream-Esoteric-Revealed/dp/096730430X) and the Tarot.com interpretive CD simultaneously in the late 1990's, I experienced that as a complicated juggle for my mismatched brain to keep track of. 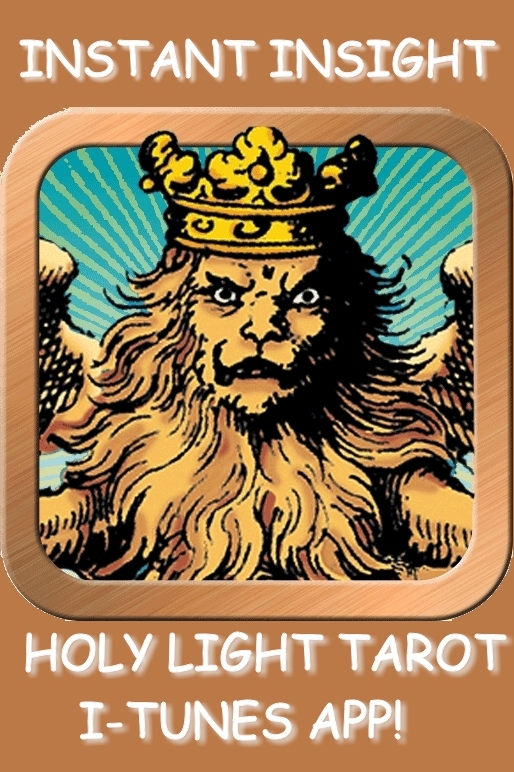 Ten years later, when putting together the Tarot of the Holy Light with Michael Dowers, I marveled at the interdimensional working style we created to dream up these cards from the works of the European Alchemists. Now we are at the very concentrated stage of testing the final mold for the book, and I can safely say that this is now the pinnacle of complexity by which future accomplishments will be measured in my life. Down the road I will look back on these years and ask myself "how in the world did you manage to pull that off?" The answer is, by a steady run of miracles, both divinely inspired human intervention and bolt-out-of-the-blue syncronicity, one miracle right after the other. Without a Divine Hand going along before us, this simply would not have been possible -- I would never have had the will power to do this on my own. As seems fated by my birthchart, my pace towards important projects is slow but massive. I knew I had to write this book in 1985! Now here it is nearly 30 years later, and the work is finally coming into manifestation. The steady support that has come back to me from students and clients over the years has allowed me to go forward with confidence, harnessing every wind of fate that has presented itself along the way. My move to Seattle, where I first started writing this book, opened a page in my life that was utterly unseen, though certainly not unasked. Being a lifetime career intuitive, it is striking by hindsight, the way this period of my life shaped up in the margins of my thought, like a quilt with a design made up of all the important fabrics of my life to date. Some parts of this adventure I was able to feel as they were coming, but I never "saw" the fullness of this stage with my mind, nor was I able to rationalize the strange attractor that has always drawn me along through my life relentlessly, heedless of what cherished structures had to be sacrificed along the way. To be this close to consummation now is therefore almost more than my body can hold. Therefore, if I seem a bit scarce this month and maybe next month too, don't be concerned! You might notice some changes shaping up at FaceBook, LinkedIn, this website, and other venues as well. My second video will be emerging soon ( you can see the first at http://youtu.be/mQ9J9JhA0T4) . The Wheel of Fortune is rolling now towards my 62nd birthday; we are working hard to make it an auspicious one for me, for us, for Tarot and for The World/ Sophia. It's an awesome feeling to be meeting this Summer Solstice at this Cancer NewMoon with this stage of the project in my hands, bringing it to completion at the alchemical peak of the year. Thank you all for being so patient, and for loving the THL cards even before the book emerged. I promise that you will soon be reading the very best work I have ever done on the architectonic core principles of the Continental Tarots.